The Sonesta Orlando Resort is a unique destination. Condominiums, townhomes and luxury villas with spectacular resort leisure facilities. 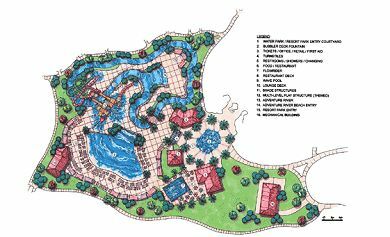 At the heart of the resort is the 100,000 sqft clubhouse and $10 million water park. 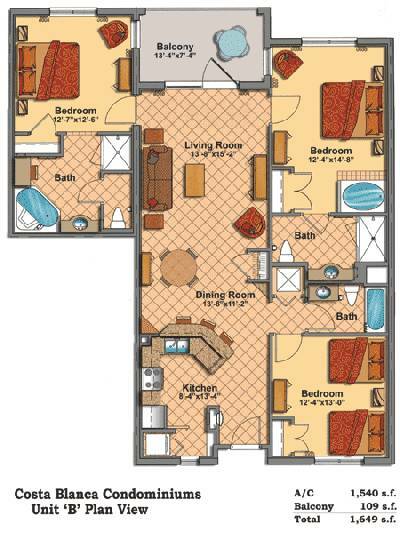 Sonesta Orlando resort is on Highway 27 between the junctions with Interstate 4 and route 192, due west of Champions gate. 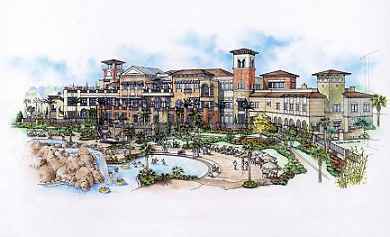 The clubhouse will have concierge facilities, casual and fine dining restaurants, private theater, shops, a world-class spa & fitness center. The water park that will feature a lazy river, rapid river, water slides, wave pool, several swimming pools, a "flowrider" where you can surf, one of the world's largest multilevel children's interactive water parks, waterfalls and plenty of sun terraces. A shuttle service will be available to the airport, theme parks, outlet malls, and golf courses. The resort is less than 1 mile from Champions Gate 36 hole Championship Golf Courses by Greg Norman and 2 miles from the Jack Nicklaus, Tom Watson and Arnold Palmer Golf Courses. Properties in Tierra Del Sol were the first to go on sale in 2004. 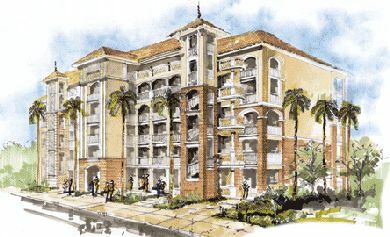 The Marbella and Monaco townhomes are now sold out. Cost Blanca condominiums are available. Tierra Del Sol is located on Highway 27 just north of the junction with Tri County Road. 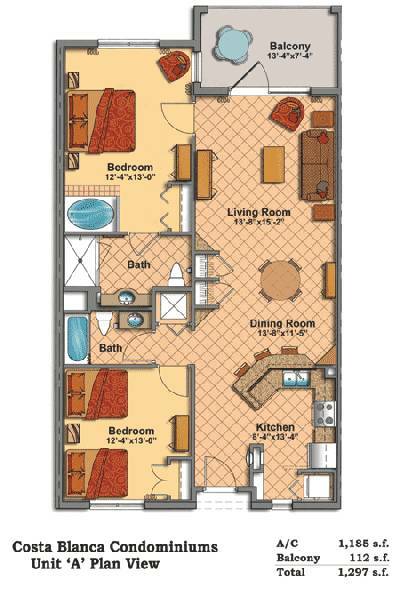 2 BED 2 BATH 1297 SQ.FT. 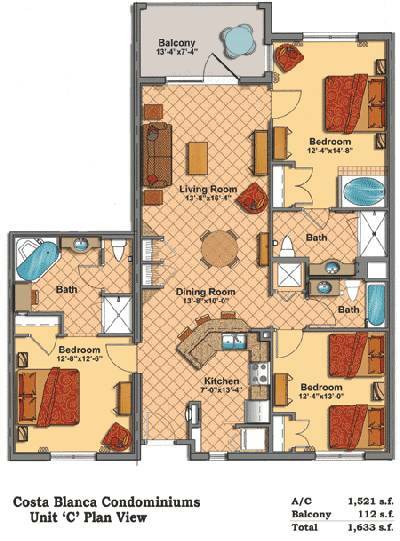 2 BED 3 BATH 1633 SQ.FT.